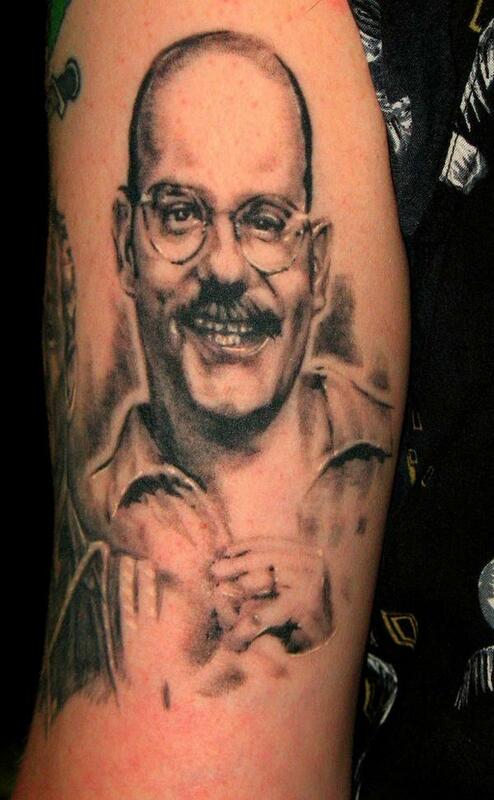 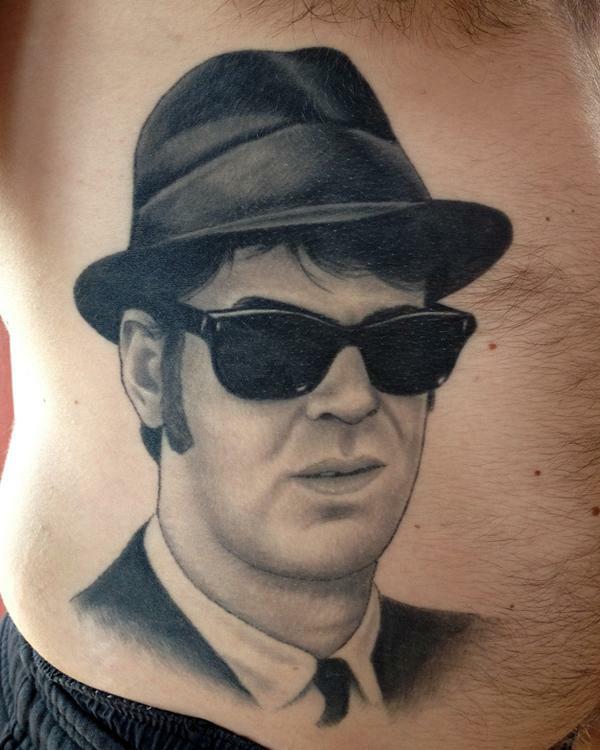 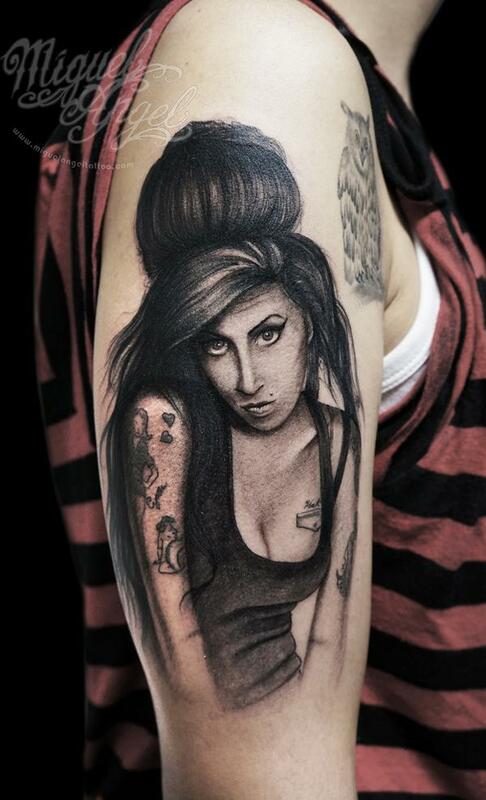 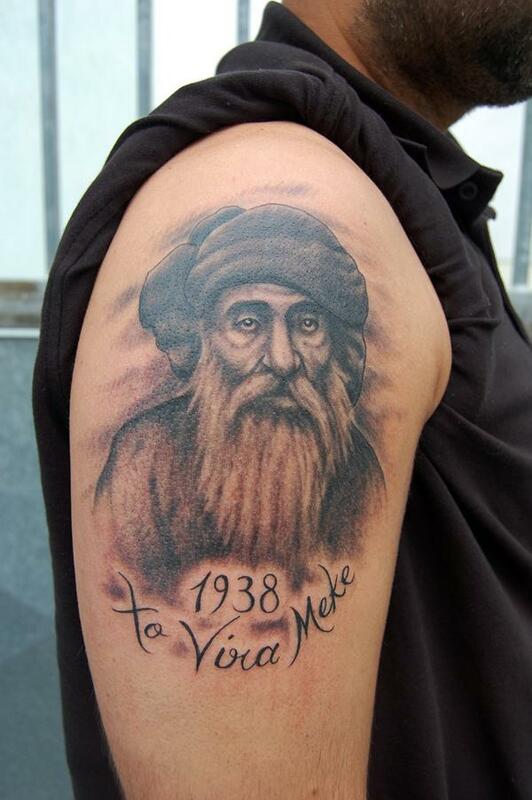 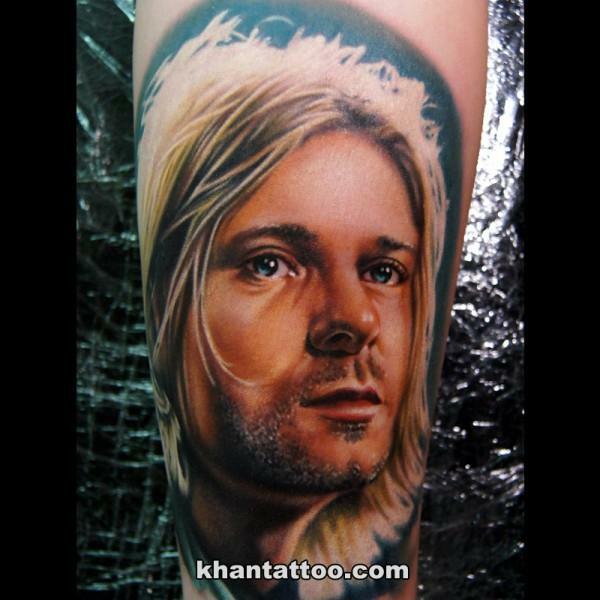 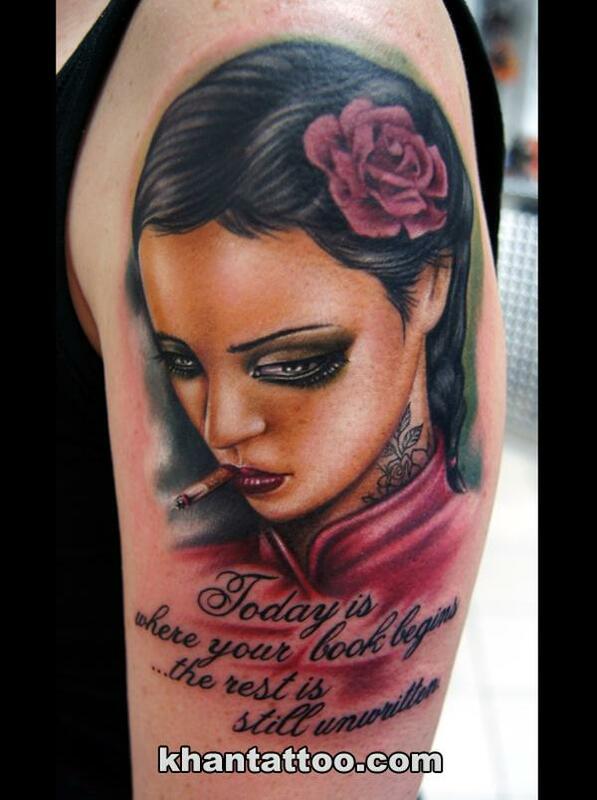 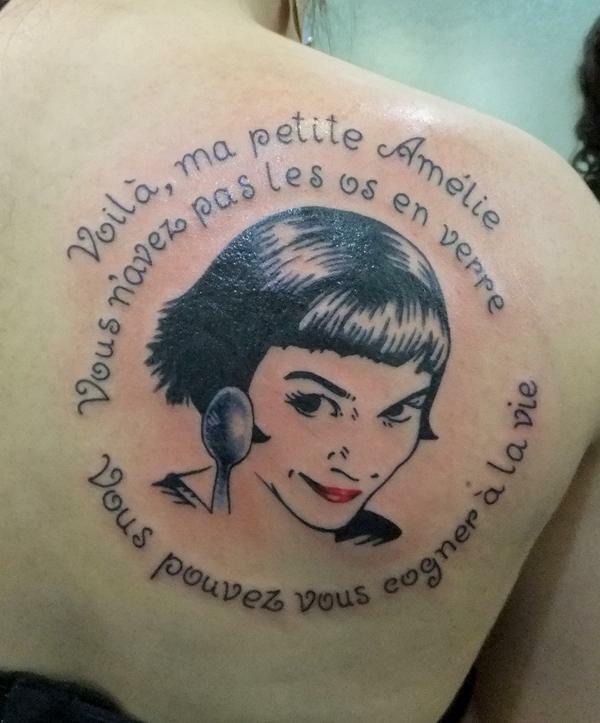 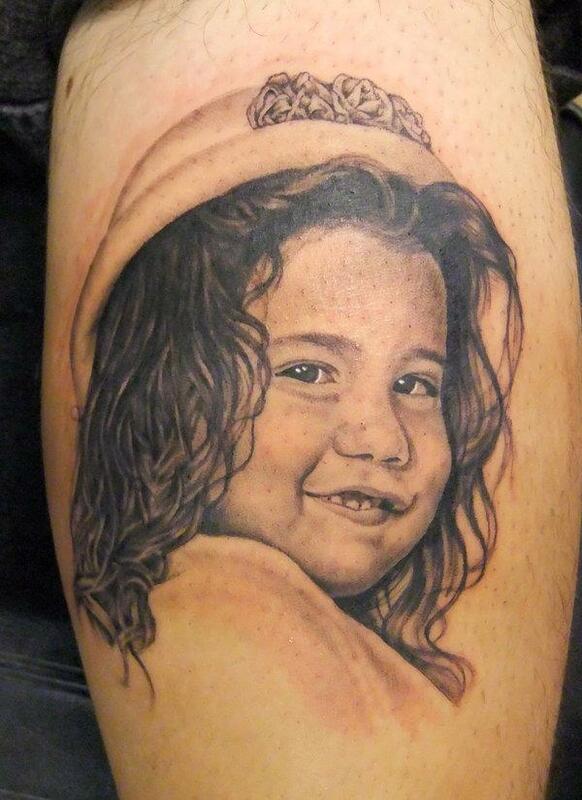 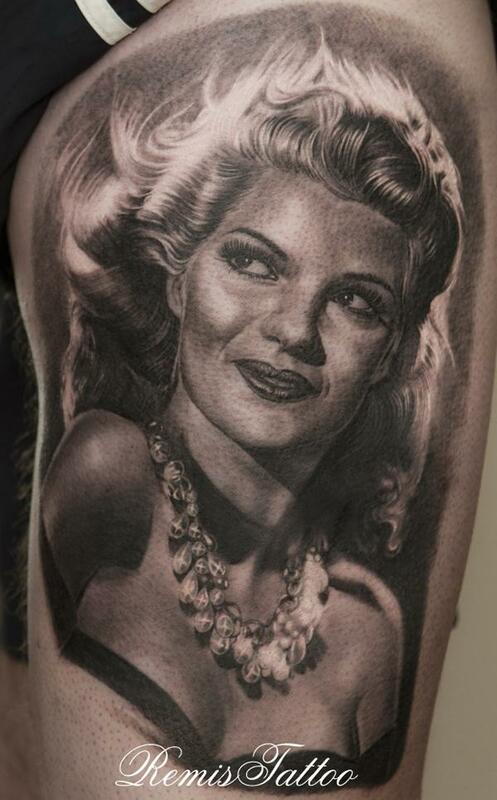 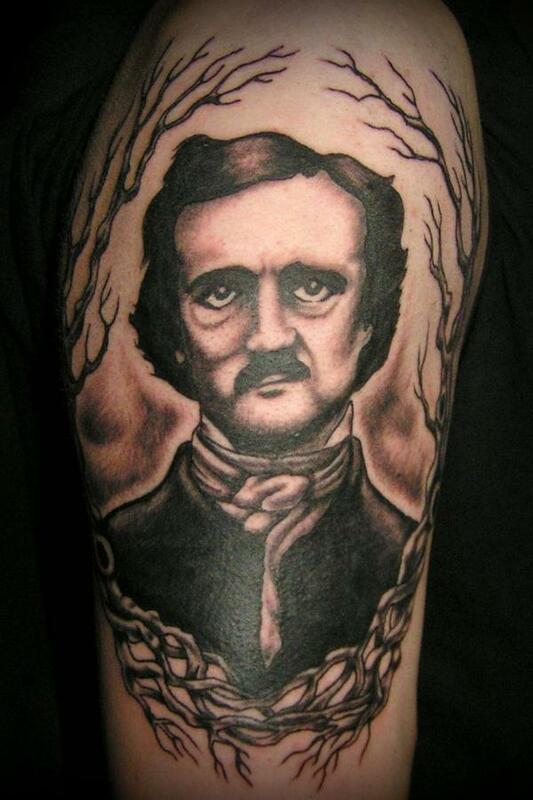 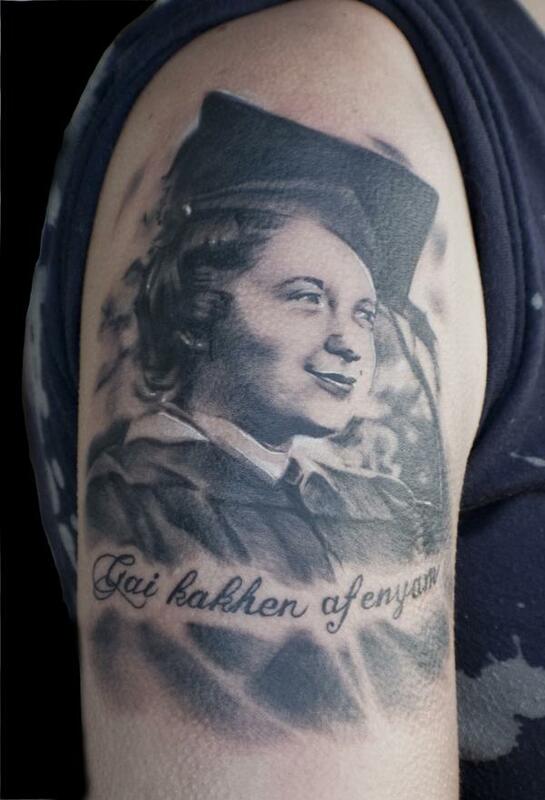 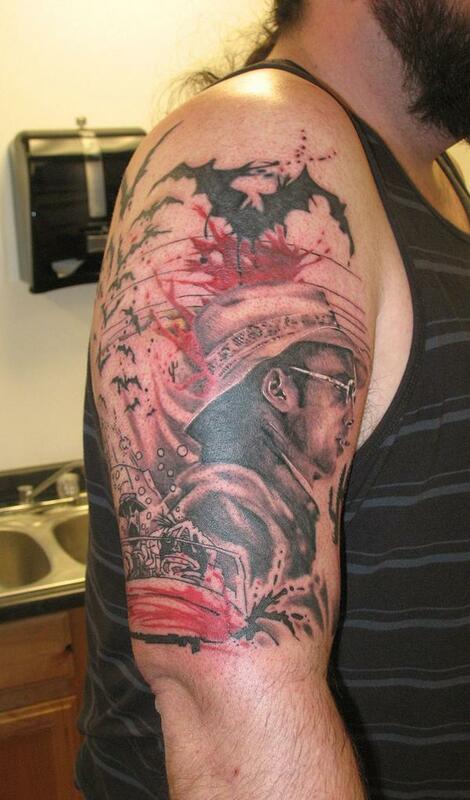 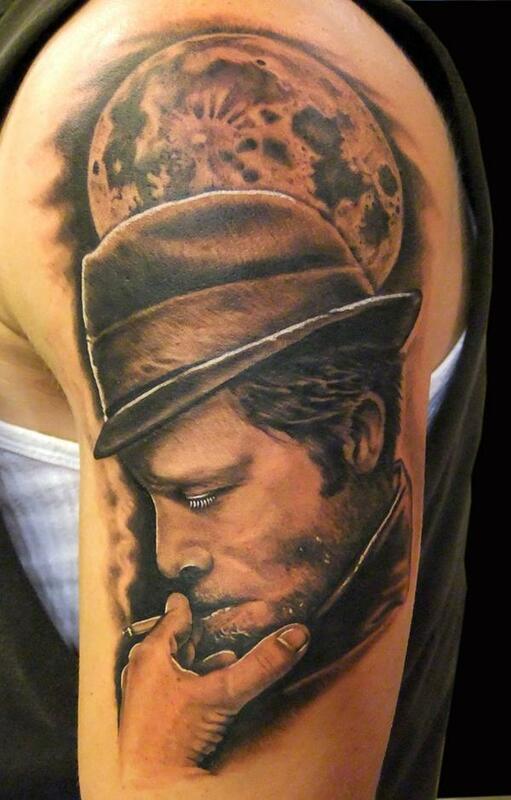 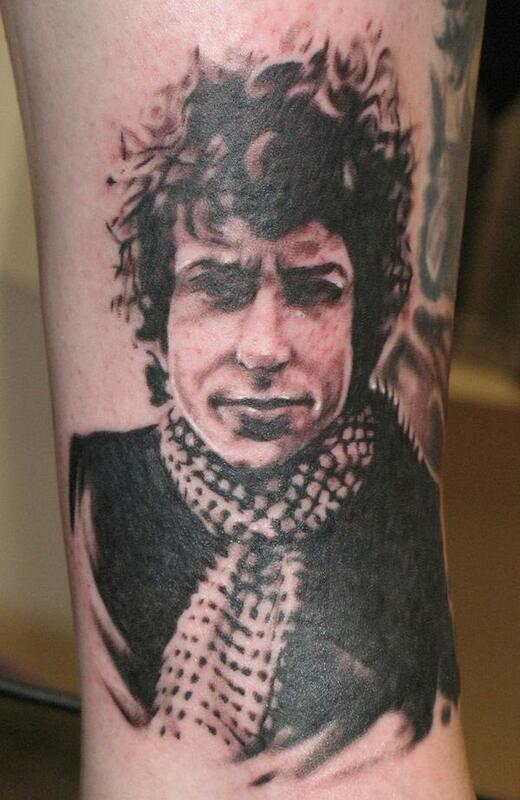 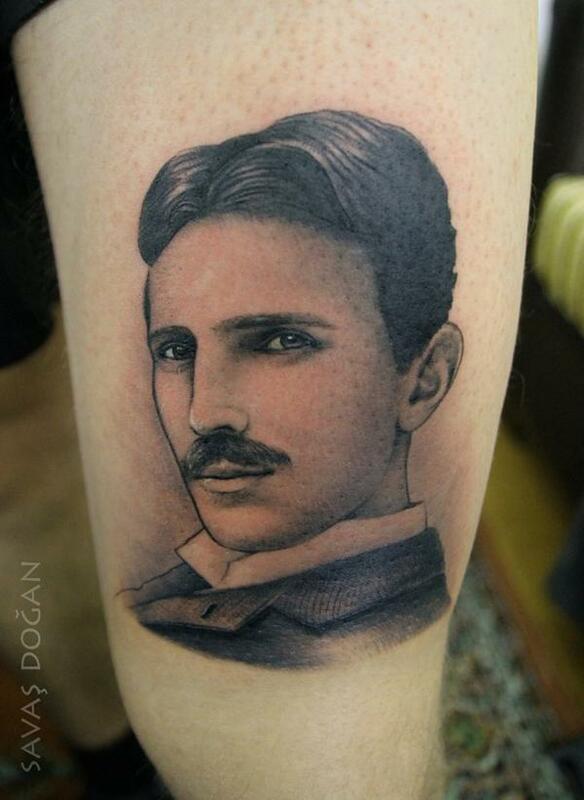 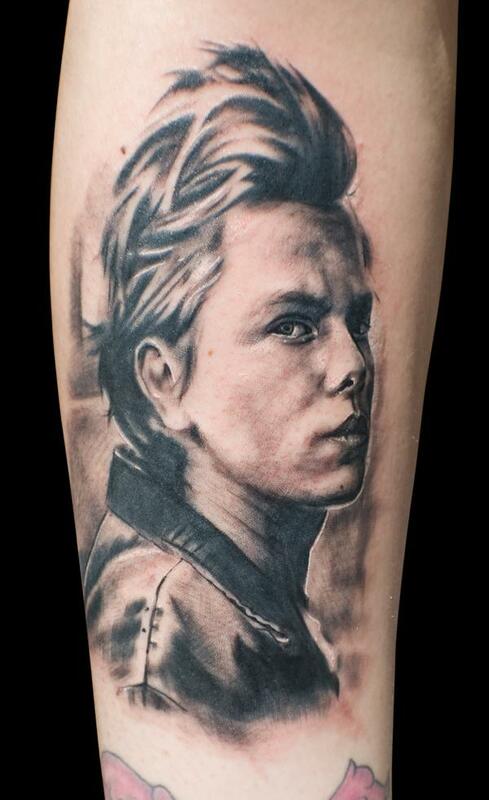 It’s a good idea to have the portrait of your most admired or loved one tattooed on your body. 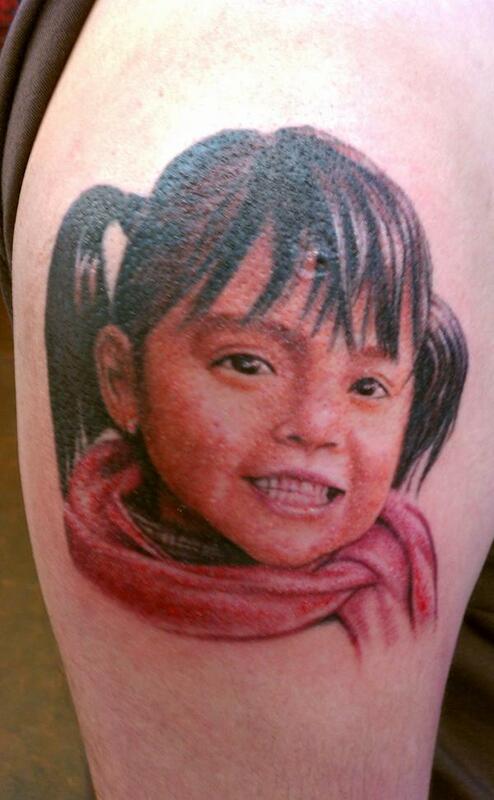 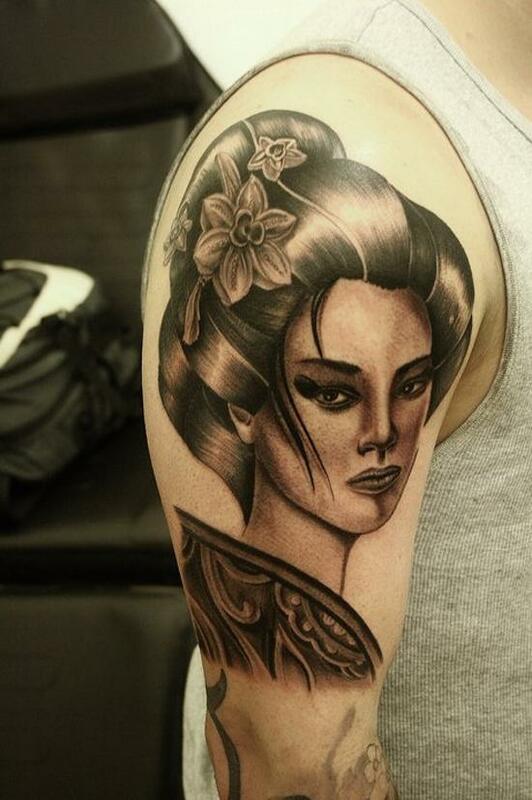 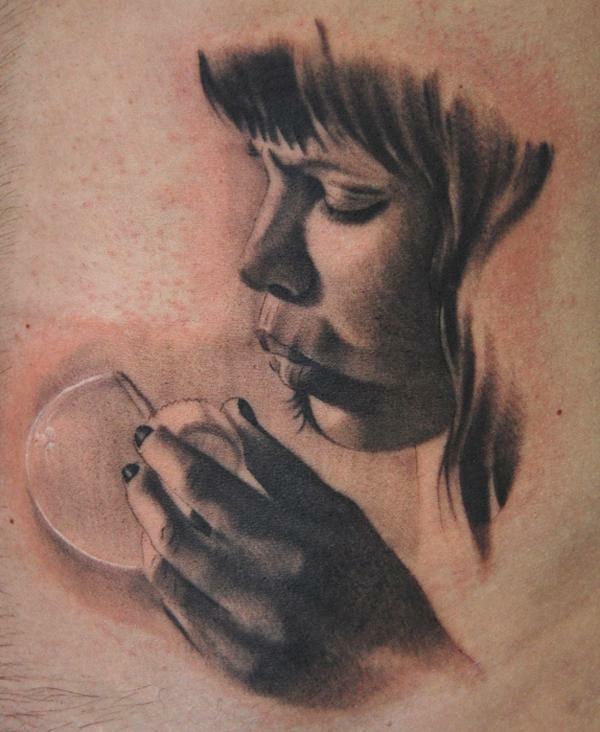 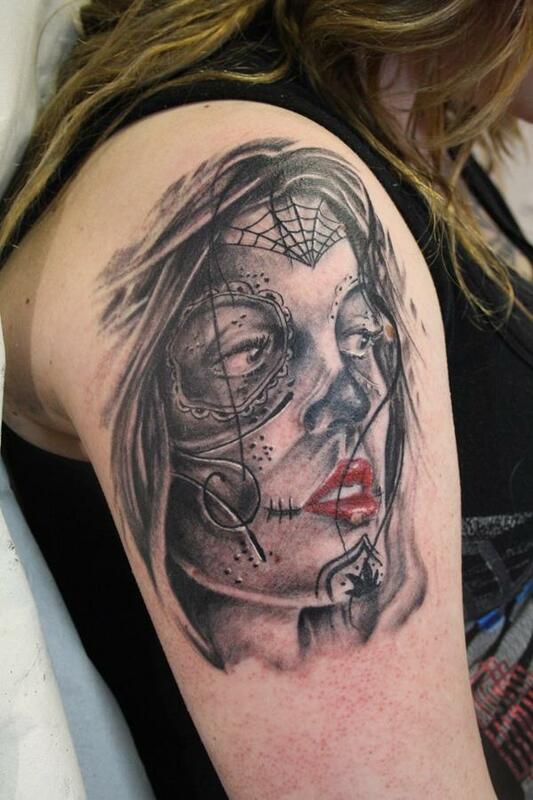 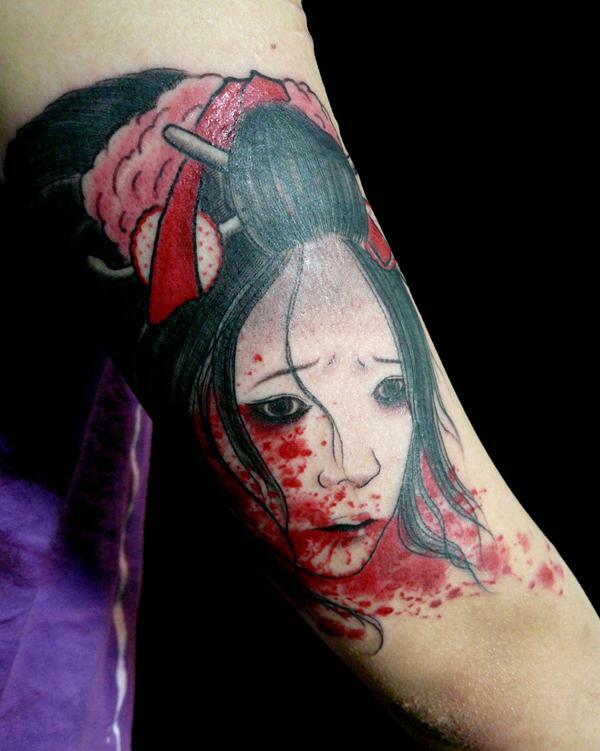 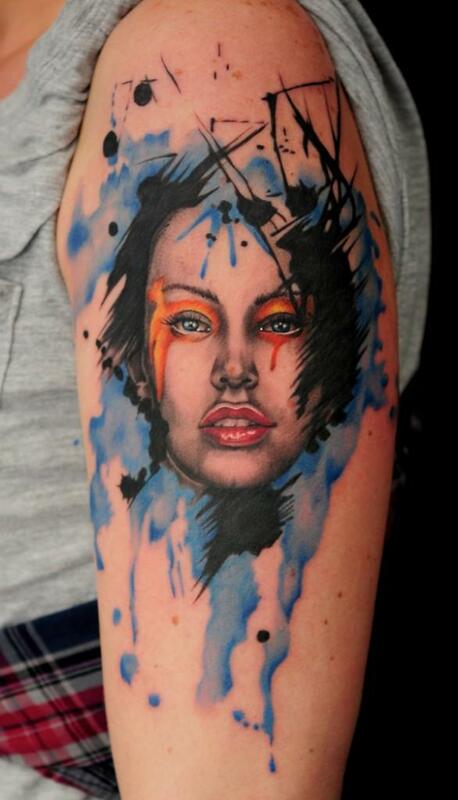 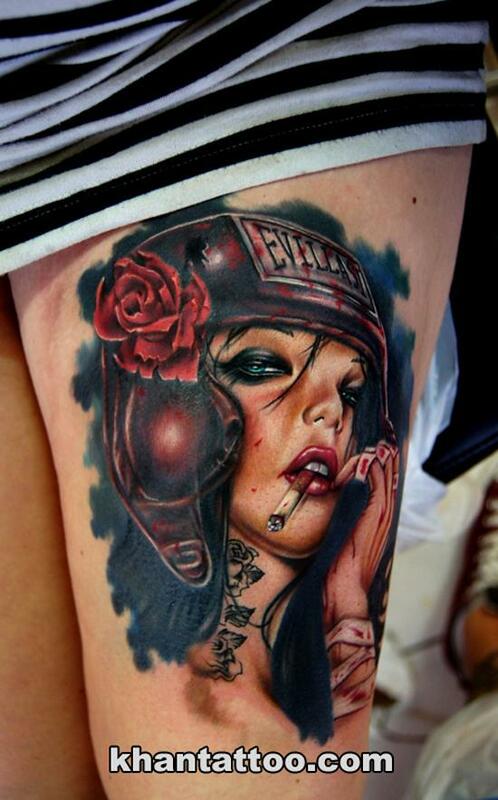 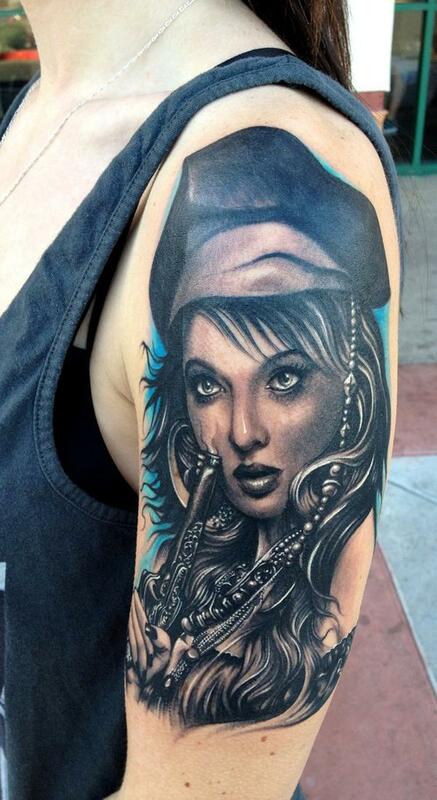 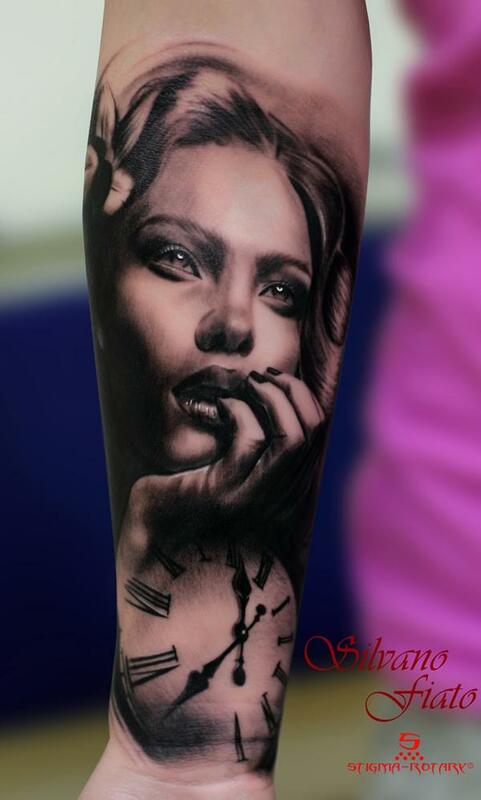 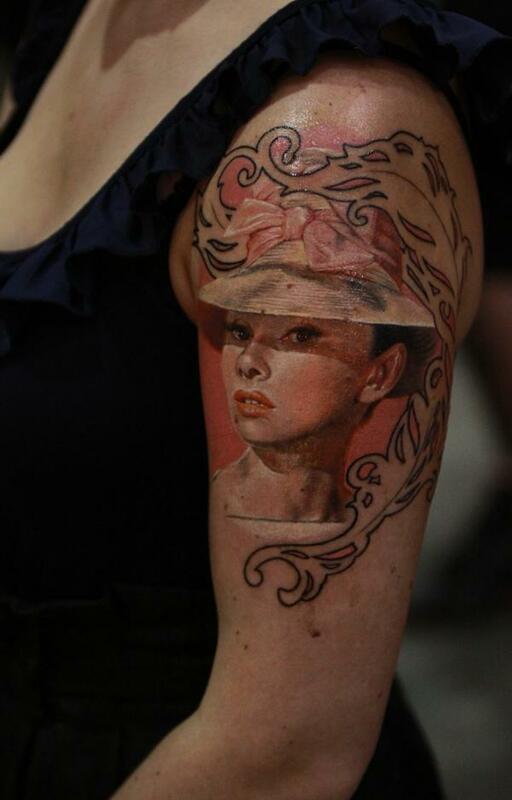 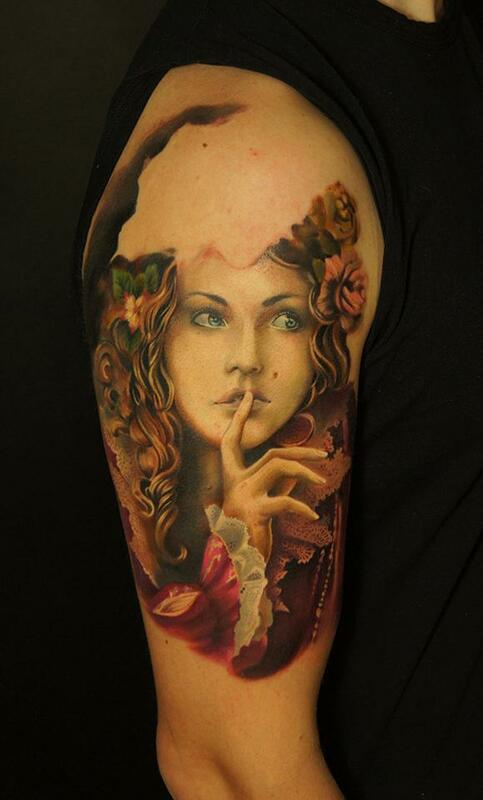 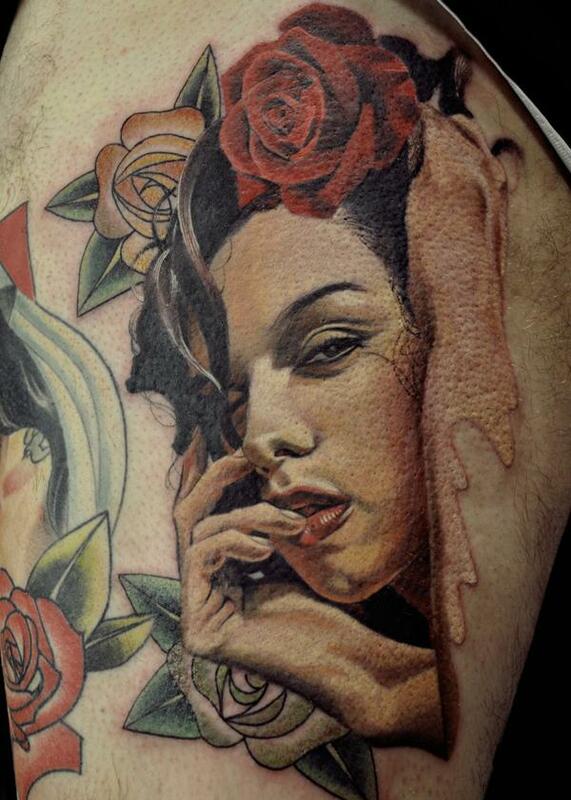 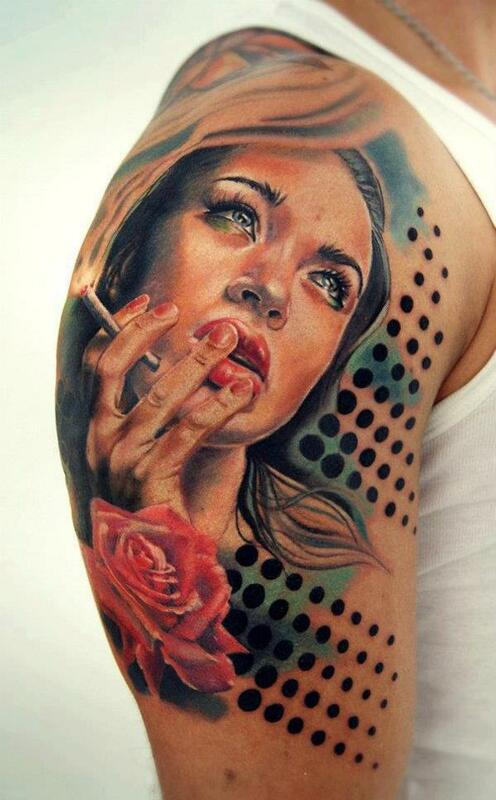 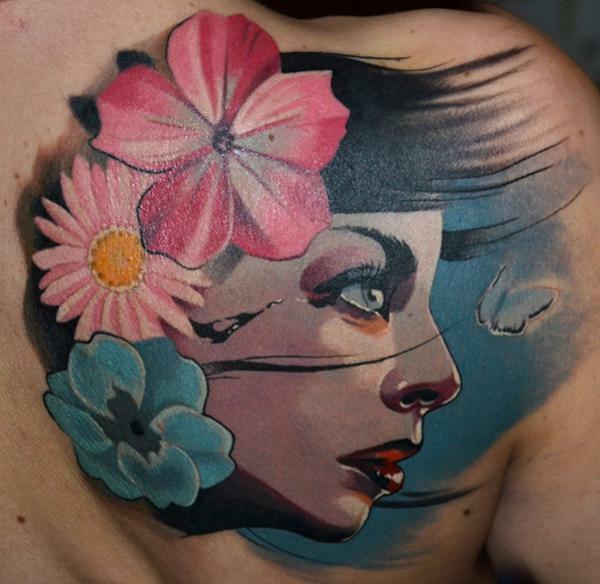 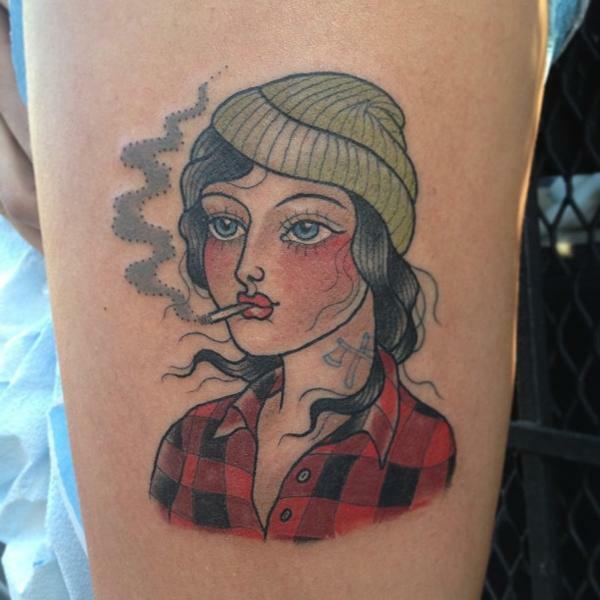 Portrait tattoos are mostly rendered in a realistic or artist way. 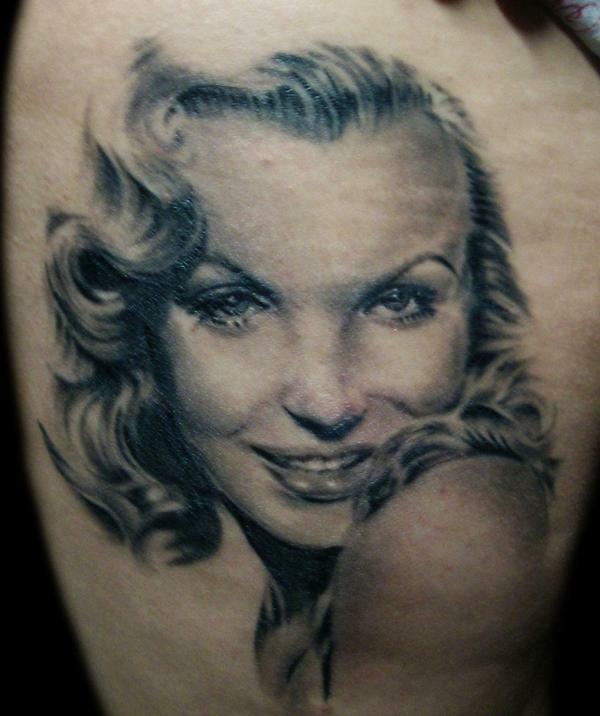 Celebrities are one of popular candidates for portrait tattoos. 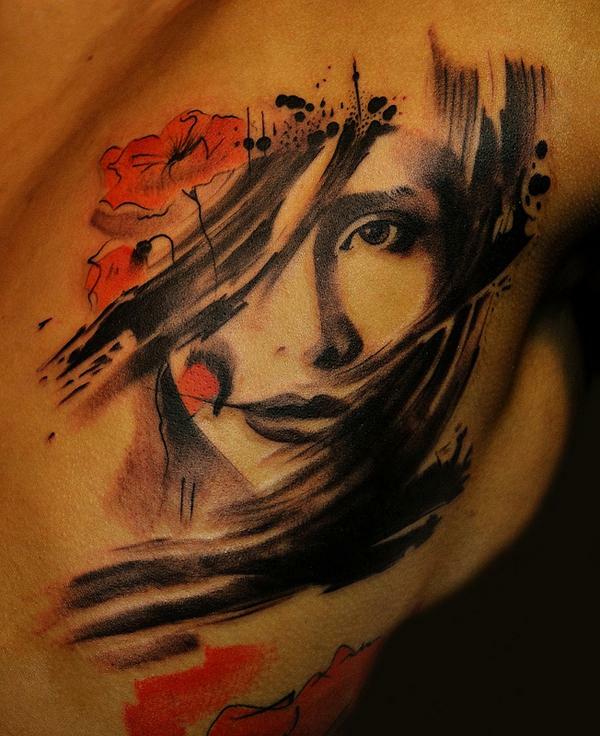 Despite of the complexity of a portrait, most portrait tattoos are inked on the arm, rather than on the parts with larger area, back or chest. 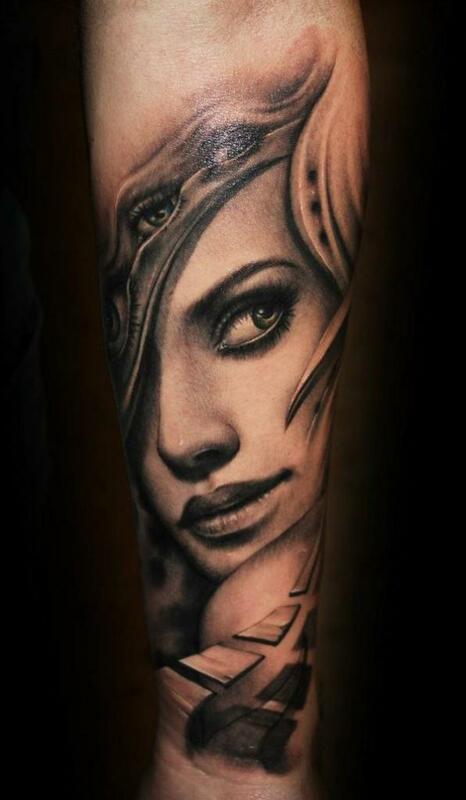 It is a tattoo idea for both men and women. 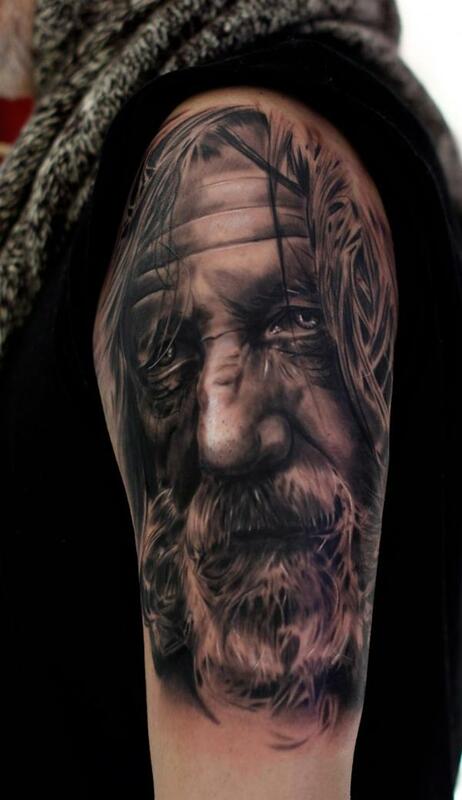 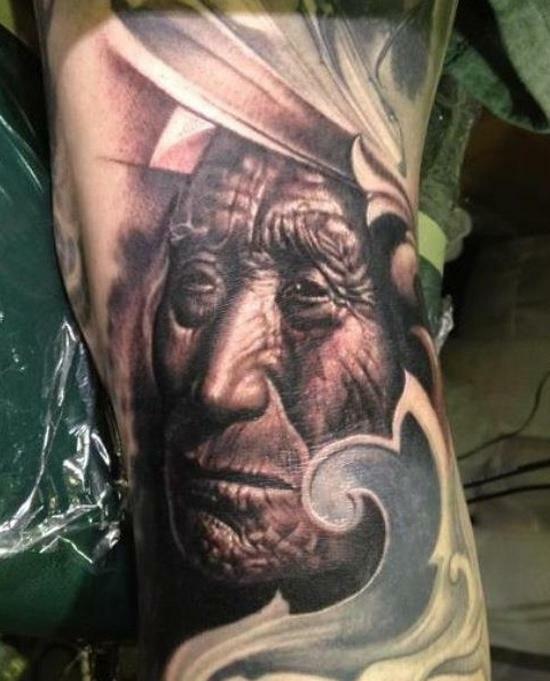 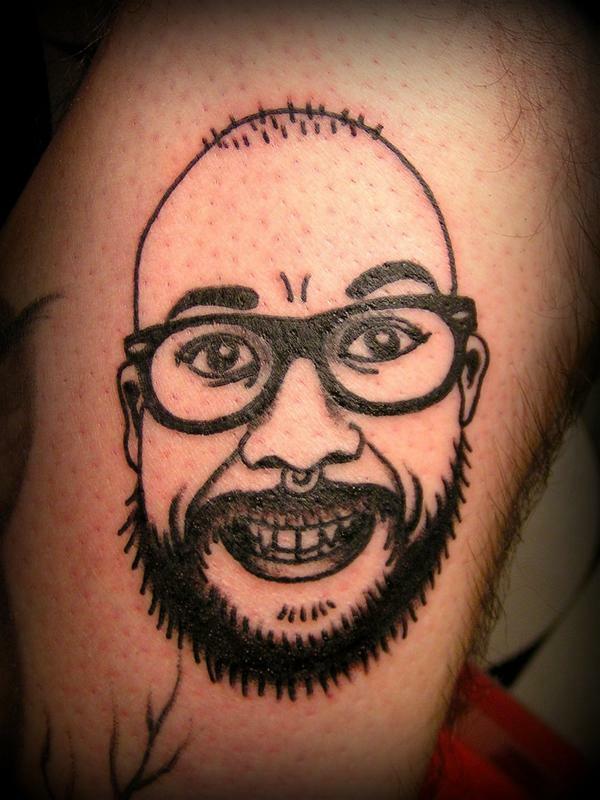 In this post, please enjoy a collection 45+ awesome portrait tattoo designed. 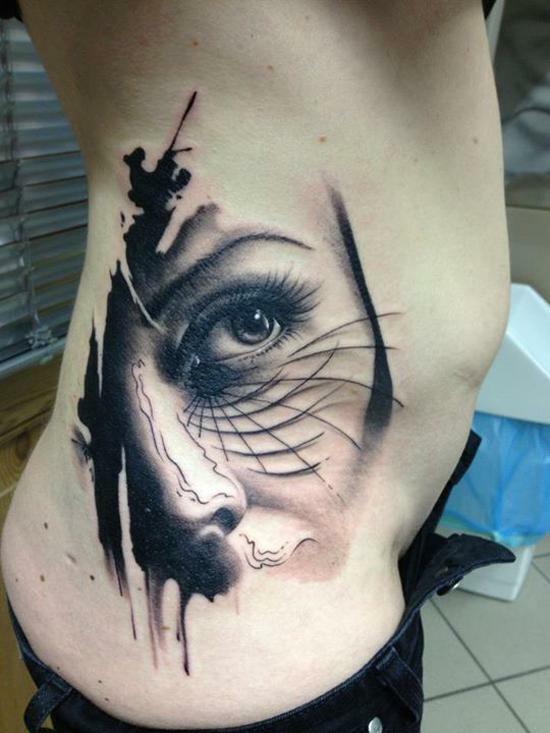 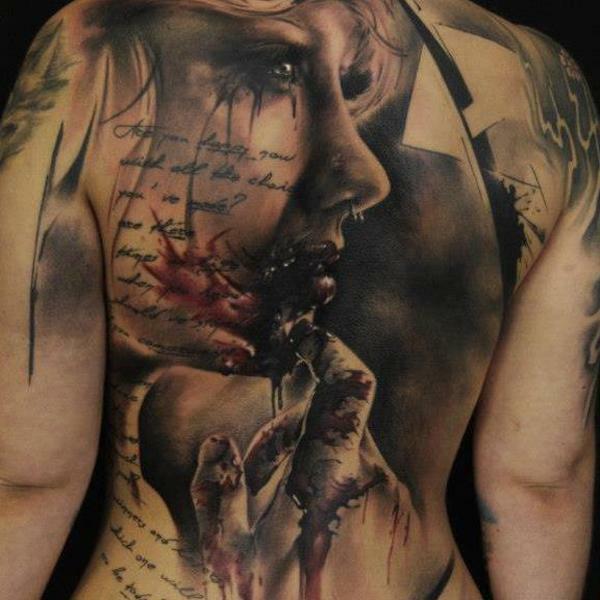 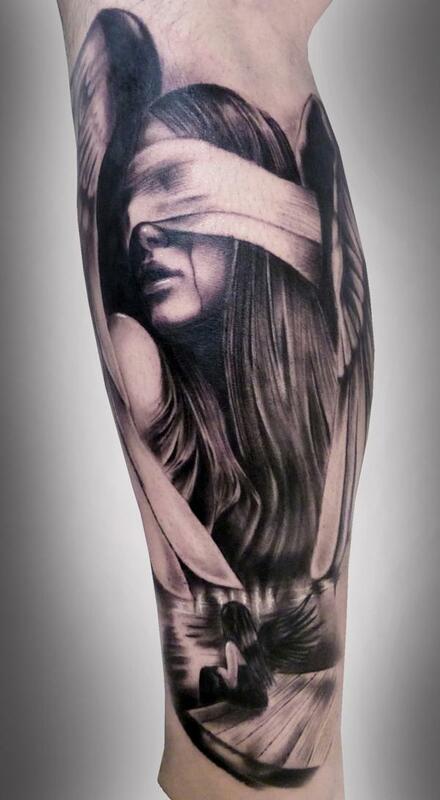 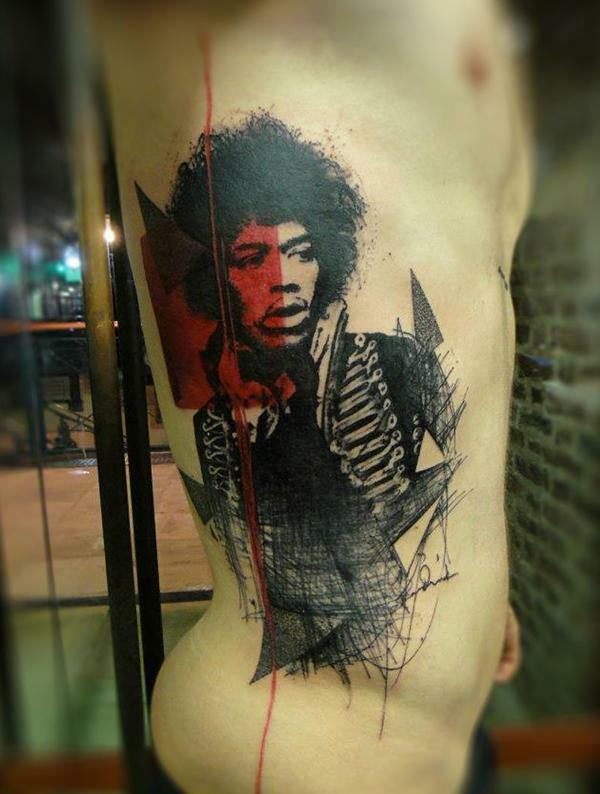 You will be surprised at the skill of the tattoo artists who created them. 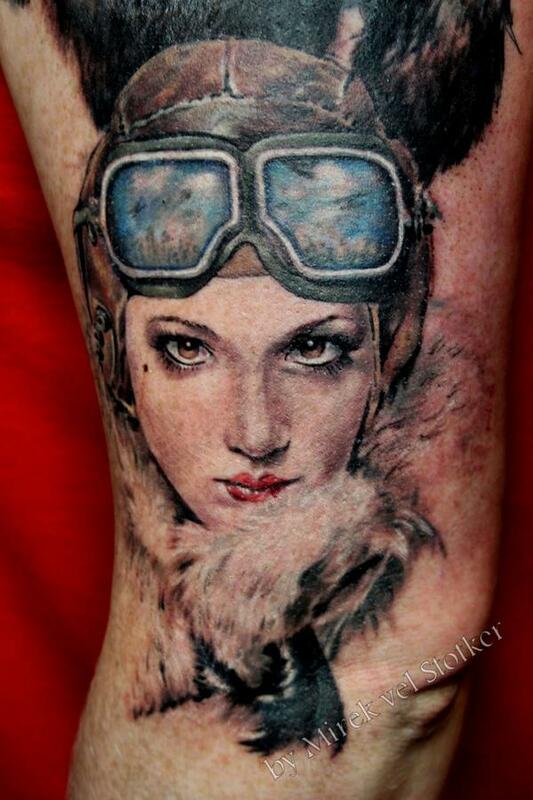 Check out the link to view more of their portfolios. 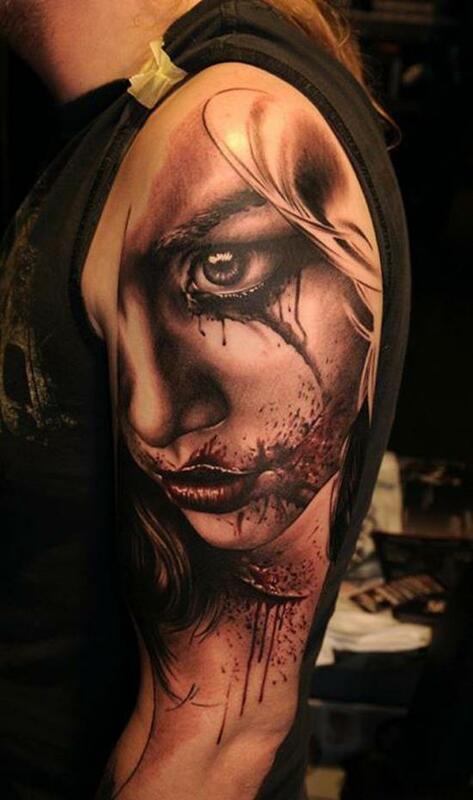 Hello, my name is Courtney mckenzie and I’m currently looking for a tattoo artist to help me put together an idea that I would like starting just a little over my shoulder and coming round my shoulder blade. 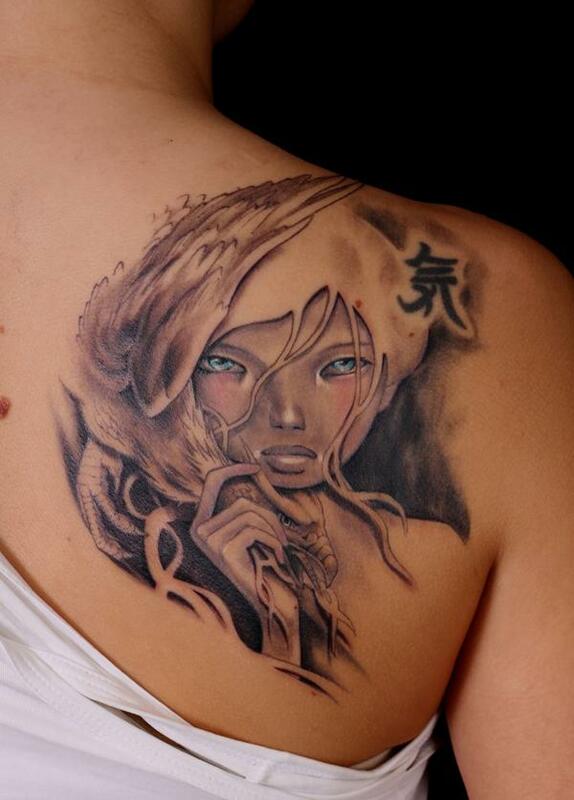 I hope to hear from you. 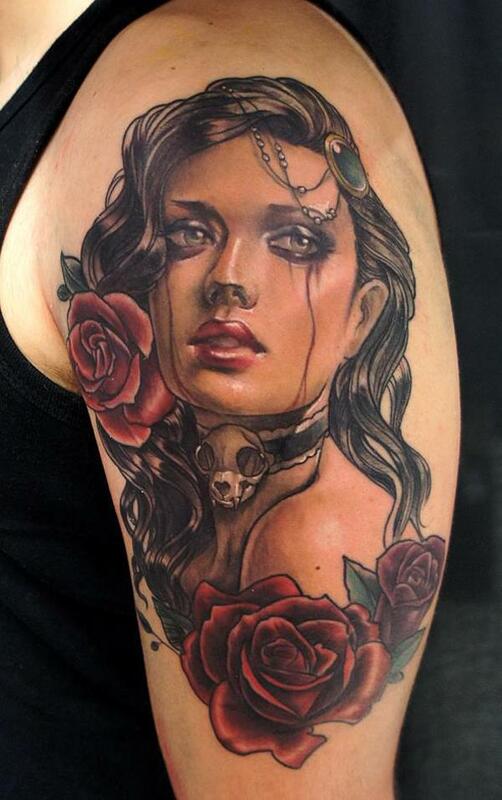 Ive checked these portrait posts, some of them are reallyawesome, but if you want to see more stunning portraits and add those in this post, I recommend for you to check Dice Ceballos’ works, he specialize in realism and 3d portrait.